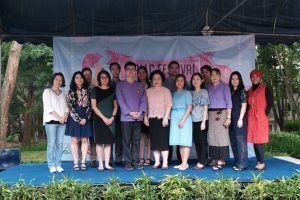 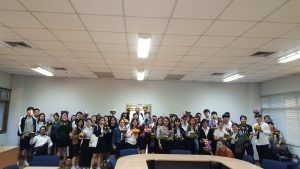 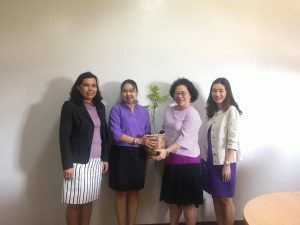 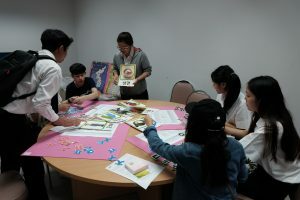 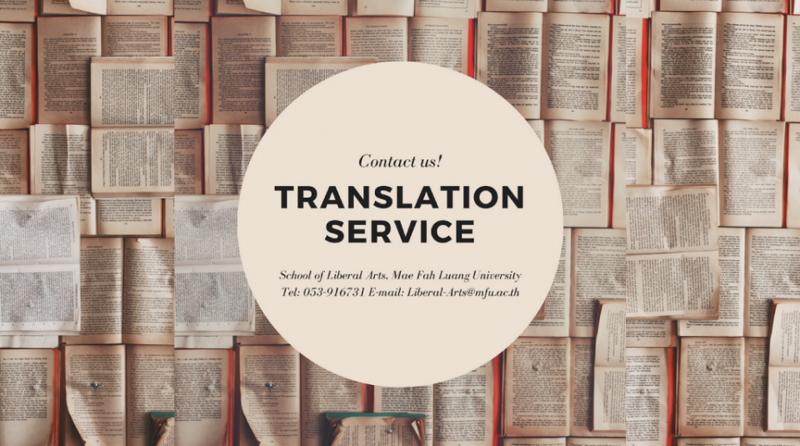 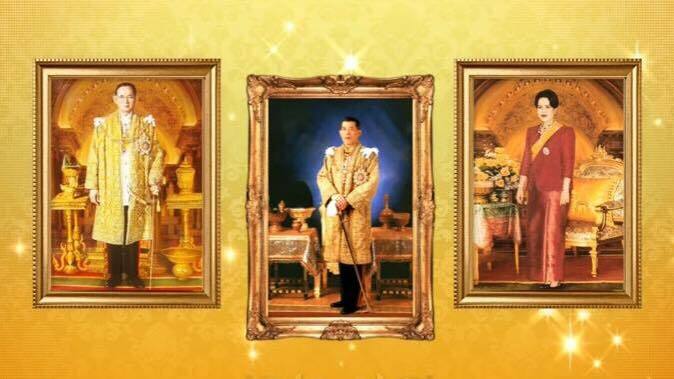 เมื่อวันศุกร์ที่ 31 สิงหาคม 2561 ศูนย์การเรียนรู้ภาษาด้วยตนเอง (Self-Access Language Learning Center หรือ SALLC) สำนักวิชาศิลปศาสตร์ มหาวิทยาลัยแม่ฟ้าหลวง ได้จัดงาน SALLC FESTIVAL 2018 ขึ้น ณ บริเวณชั้น 1 และหน้าอาคารเรียน S7-A ตั้งแต่เวลา 9.00-16.00 น. 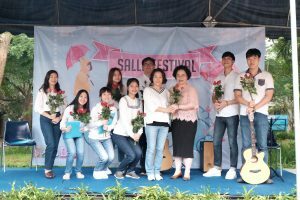 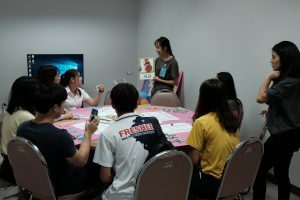 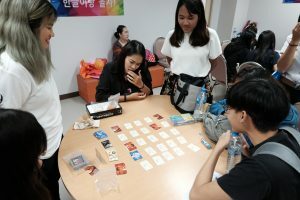 On Friday, 31 August 2018, SALLC (Self-Access Language Learning Center) of school of Liberal Arts held the SALLC Festival 2018 at S7-A building, starting from 9:00 a.m.- 4:00 p.m.
Asst. 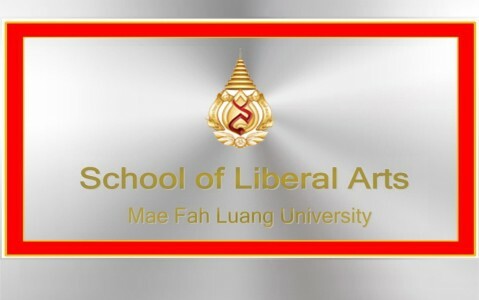 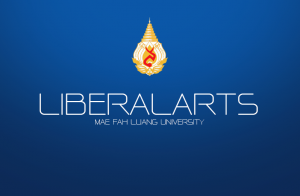 Prof. Dr. Jiraporn Intrasai, Dean of school of Liberal Arts, delivered an opening speech at the festival, later followed by the wonderful performances such as Thai Boxing Art Dance, Korean songs singing, and song quizzes from both Thai and internaltional students in the school of Liberal Arts. 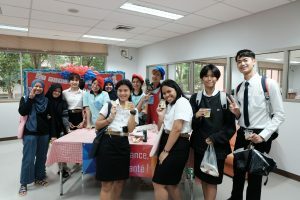 Moreover, there were a lot of interesting activities inside the center, to name a few, guessing movies game, board games, French words trivia, folding papers in Japanese style, Yukata wearing, and so forth. 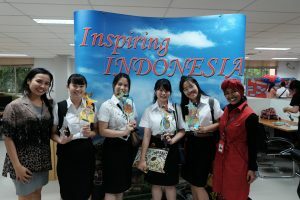 In addition to those amazing cultural and fruitful activities, attendees got to bet their luck to win some wonderful prizes back home from the Giving Tree booth. 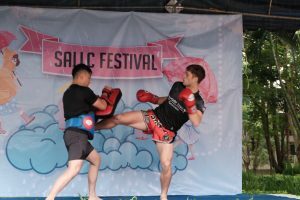 All in all, this year SALLC festival managed to welcome around 400 participants to the festival.